The toad mountain harlequin frog is all decked out in orange and black for Halloween! Atelopus certus is a biological treasure found only in Panama. This terrestrial species has a golden iridescent hue with spots like a giraffe. 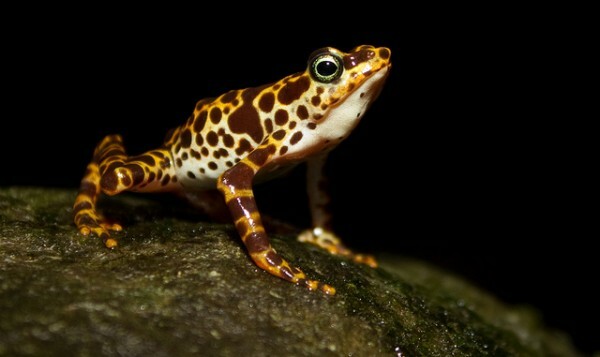 In its natural setting, the toad mountain harlequin frog can be found streamside or on mossy rocks in moist lowland and mountain forests. We have a healthy population in captivity to safeguard against predicted chytridomycosis-related declines. Did you know? 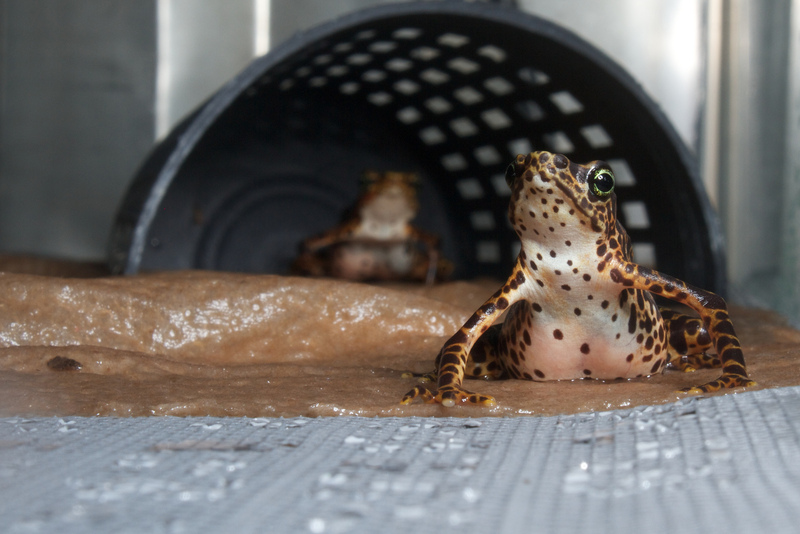 The Smithsonian Channel documentary “Mission Critical: Amphibian Rescue” recounts the valiant rescue effort to save this species from imminent extinction. Beauty is in the eye of the beholder! The bright red eyes, and blue striped sides of Agalychnis callidryas are a defense mechanism the frog uses to surprise potential predators, and avoid predation. During the day the red-eyed tree frog folds its legs at its sides, closes its eyes, and sleeps, effectively camouflaging itself on green leaves. You can observe this behavior in their natural habitat of low to mid-elevation rainforests from the Yucatan to Colombia. They are considered a species of least concern according to the IUCN, and are abundant throughout their range. We also have these beauties on display in our exhibit Fabulous Frogs of Panama at Punta Culebra Nature Center. Did you know? 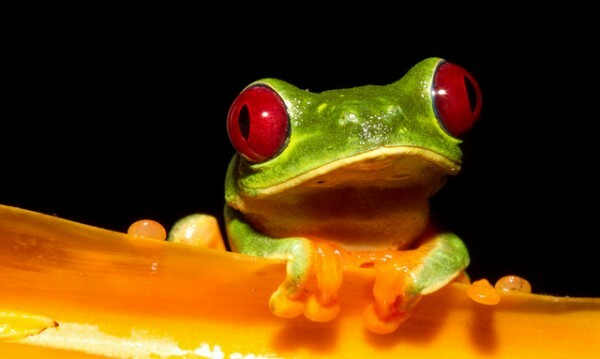 Red-eyed tree frogs lay their eggs on plants overhanging the wáter, and when they hatch the tadpoles fall into the wáter. Eggs in the trees can be eaten by wasps, snakes, or katydids, or killed by pathogenic fungus. Embryos can hatch early to escape from attacks by egg predators and pathogens, or in response to abiotic threats, but they typically hatch later if undisturbed. Thus tadpoles enter the water at different ages, sizes and stages of development. Tadpoles that were induced to hatch early are more likely to be killed by aquatic predators and less likely to survive to metamorphosis. After a month or more in the water, the tadpoles metamorphose into froglets. Metamorphs on land remain relatively inactive near the pond while they absorb their tails, then climb up into the trees and disappear. We know very little about their lives as juveniles. 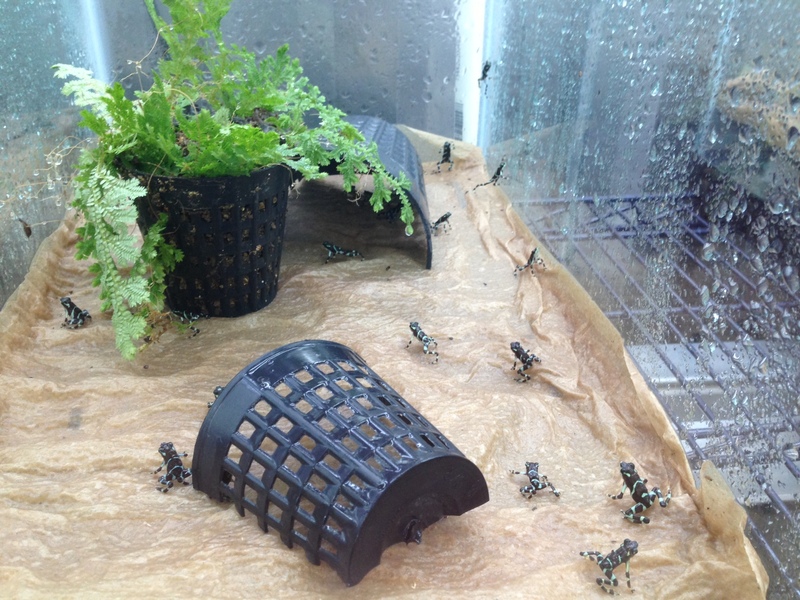 Snake induced hatching of red-eyed tree frogs. Strawberry poison dart frogs are generally a small species, about 0.75 to 1.5 inches (20 to 40 mm) in length. They are also mostly diurnal, and can be heard calling in the flooded forest.There are many poison frogs in the Dendrobatidae family with slightly different distributional ranges that can be found in Central America and northern South America. The species Oophaga pumilio are found in Mesoamerican countries and Panama. Did you know? 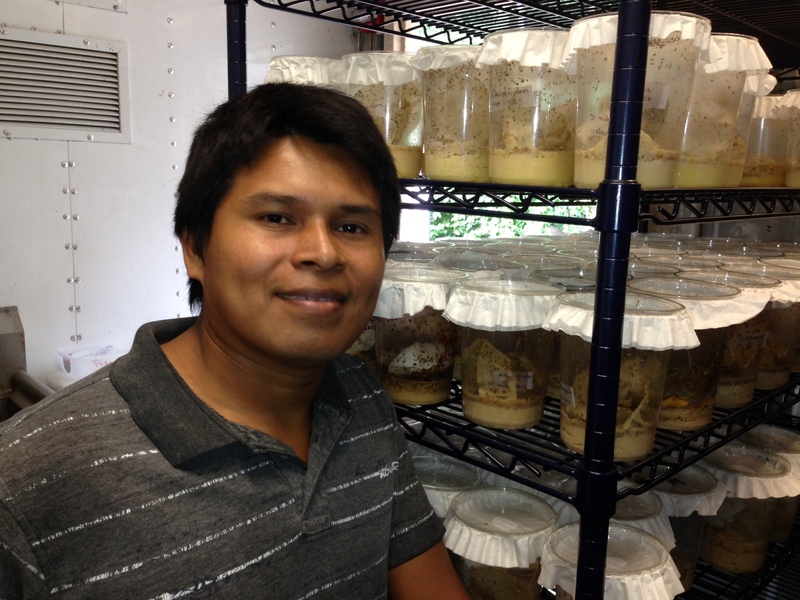 An Oophaga pumilio look alike was recently discovered in Panama by STRI scientist Cesar Jaramillo with Abel Batista and Marcos Ponce (UNACHI) and Andrew Crawford (Universidad de los Andes). This new species Andinobates geminisae is still being described. Click here for more information. 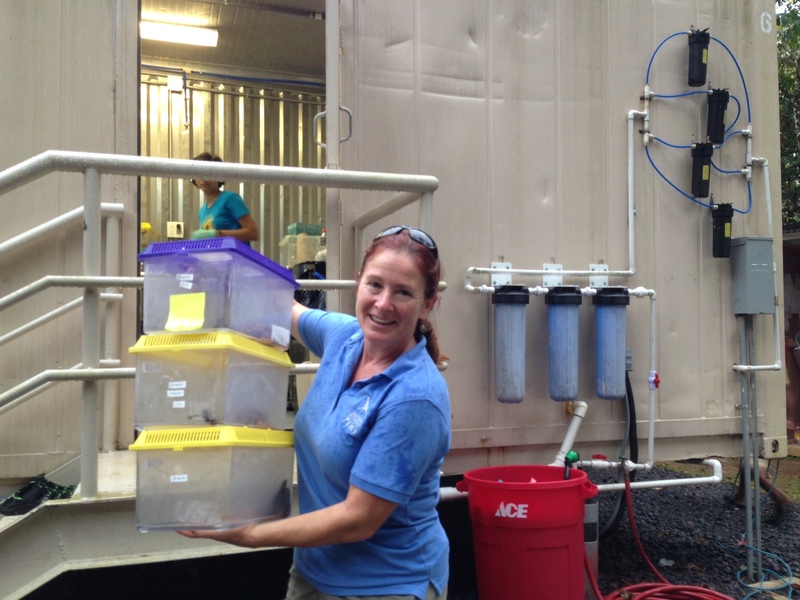 In August the Smithsonian Tropical Research Institute (STRI) and partners celebrated the fourth annual Golden Frog Festival. The festival, consisting of various events held throughout Panama, calls local and global attention to the ecological and cultural value of the Panamanian golden frog and global amphibian declines. 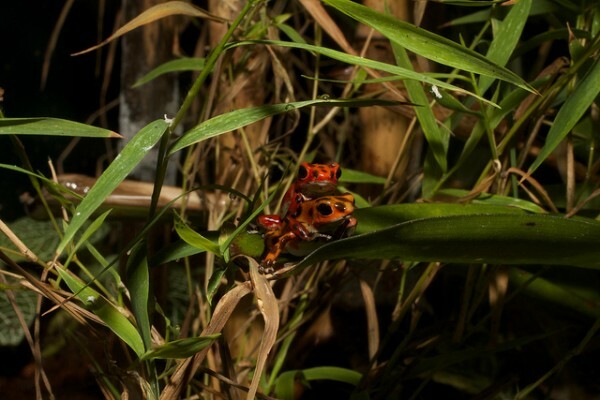 A major highlight of the festival was the opening of Fabulous Frogs of Panama, a new exhibit at Punta Culebra Nature Center featuring some of the world’s most beautiful, and endangered, frog species. The festival kicked off on August 4 with a series of teacher workshops in El Valle de Anton led by Smithsonian Education Specialist Lidia Valencia and Peace Corps Response Volunteer Hannah Arney. Seventy teachers attended three workshop to learn about the new curriculum “Fabulous Frogs of Panama, which provides educational activities for use in teaching their students about amphibian biodiversity and conservation. 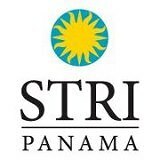 PARC scientists Jorge Guerrel and Rigoberto Diaz introduced the festival on the Panamanian national lottery highlighting the importance of the golden frog and encouraging Panamanians to help conserve amphibians. 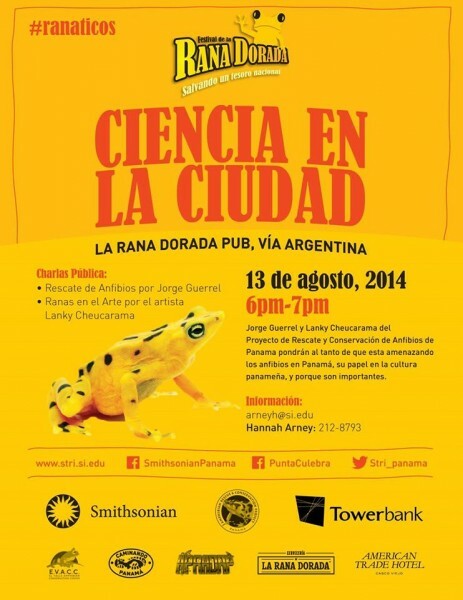 Later that evening, the first Science in the City public talk was held at the Rana Dorada Pub. The event, held at one of our main sponsor’s venues, featured PARC scientist Jorge Guerrel and indigenous artisian Lanky Cheucarama. The pub talk was a vibrant mix of indigenous culture, conservation, education, and superb food & drinks! Punta Culebra Nature Center held its soft opening of the new exhibit, “Fabulous Frogs of Panama.” Sharon Ryan, public programs director at STRI, Matthew Larsen, STRI director, and Sylvia Cesaratto, the Canadian Ambassador for Panama, spoke about the importance of amphibians as national, cultural and biological treasures before inviting participants to visit the new exhibit. Post by Panama Amphibian Rescue and Conservation Project. 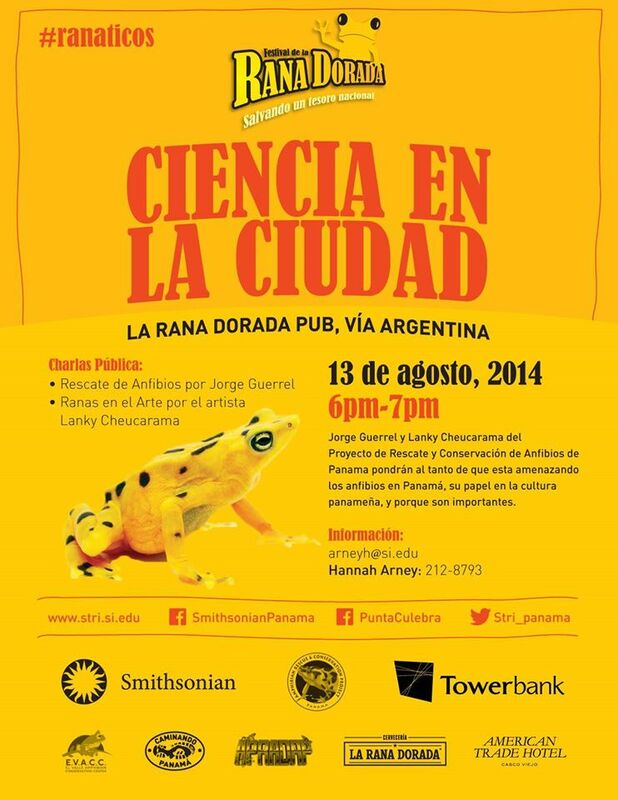 The second Science in the City talk was held in the historic district of Casco Antiguo at the American Trade Hotel. 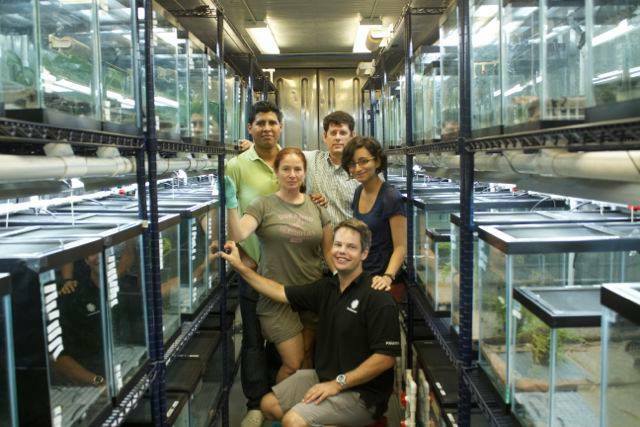 Sharon Ryan, STRI’s director of public programs, and Brian Gratwicke, lead conservation biologist for the Smithsonian Conservation Biology Institute, talked about the PARC ‘s amphibian research, rescue and education programs. La Tribu finalized their performance by inviting a group of local school children to make an oath to live in harmony with the amphibians. The weekend was jam-packed with events and activities for families and frog enthusiasts. On Saturday, August 16, El Valle de Anton, the community where the PARC project began, held a family day to promote golden frog conservation. Local businesses and community groups supported the events – which included a performance by acrobatic group La Tribu, and a variety of fund and educational activities. An estimated 500 people, mostly children, attended the event. On Sunday August 17th, the Punta Culebra Nature Center hosted a frog themed family day to celebrate the launch of their new exhibit. The day’s events included face painting, informational presentations by STRI scientists, and frog themed games. The Rana Dorada food truck also came out to sell their delicious hamburgers and tacos. La Tribu reprised their presentation from El Valle, and taught visitors about the importance of taking care of frogs and their habitat. 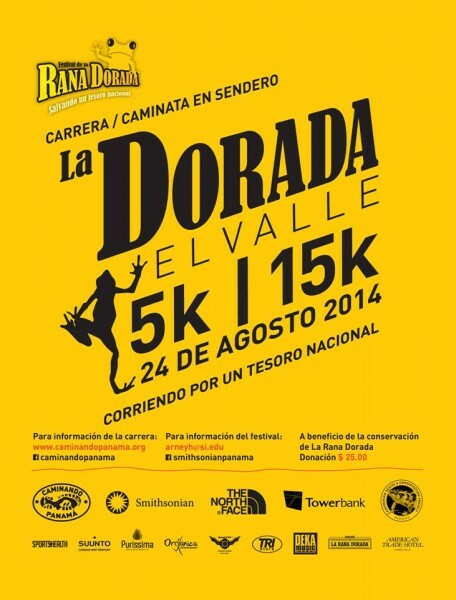 The final event of the 2014 Golden Frog Festival was a 5K/15K walk/race held in El Valle de Anton. 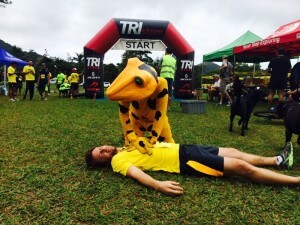 This was the first trail walk/run race in Panama focused on raising awareness about wildlife conservation. Participants went through trails surrounding the beautiful Hotel Campestre while spectators, families, and children all watched in support. 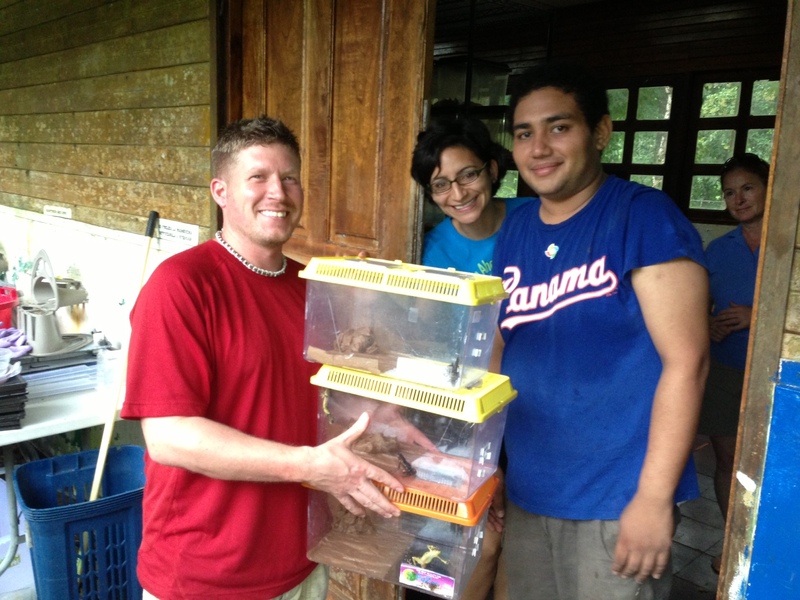 Lots of exciting things are happening with amphibian education here in Panama! 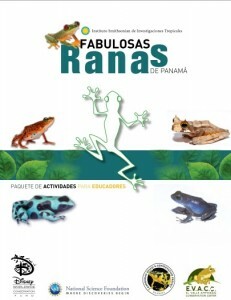 The brand new exhibit “Fabulous Frogs of Panama” is open at Punta Culebra Nature Center on the Amador Causeway in Panama City, Panama. In conjunction with this exhibit the Punta Culebra staff and I have designed a whole new curriculum of activities to do with visiting school groups. The curriculum is a product of collaboration by Smithsonian educators, PARC scientists, and myself. Thanks to Catherine de Rivera and the rest of her wonderful group from Portland State University we received training on inquiry-based learning techniques, and we are incorporating these methods in our brand new amphibian curriculum. It includes activities such as a dichotomous key to help students learn to identify amphibians, strategies that amphibians use to avoid predation, the frog life cycle, and the effects of chytrid fungus on amphibian skin. We have published a version of this curriculum right here on amphibianrescue.org, under the brand new education tab. Coming soon we will also include on the education tab a virtual tour of the exhibit, videos, and other bilingual materials to be utilized by educators. So stay tuned for exciting updates to this section of the website! 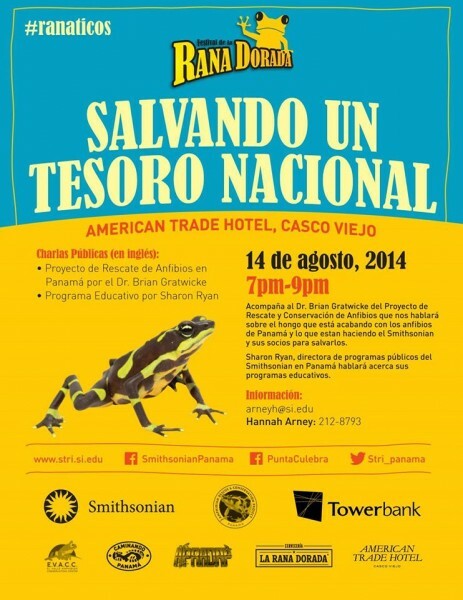 The 2014 Panamanian Golden Frog celebrations will be held in Panama City and El Valle de Anton. 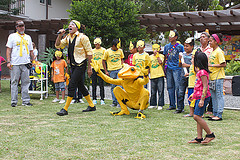 The festival, now in its fourth year, celebrates the iconic Panamanian Golden frog while highlighting the amphibian’s unique, cultural role in Panama’s history. 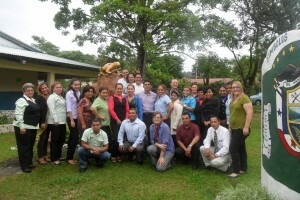 Communities across the country will engage in activities and events in hopes of preserving Panama’s national treasure. 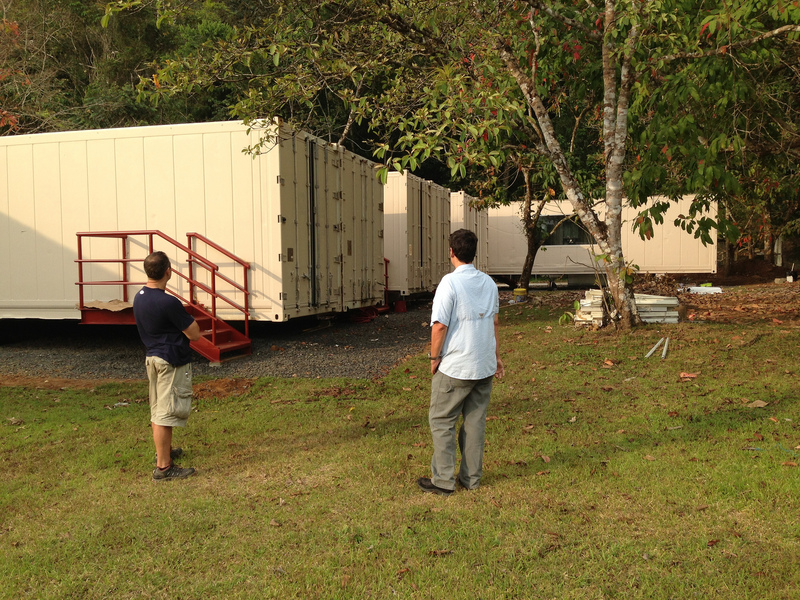 The festival, scheduled to be held August 9-17, 2014, kicks off with a series of instructor workshops for five schools in El Valle de Antón. 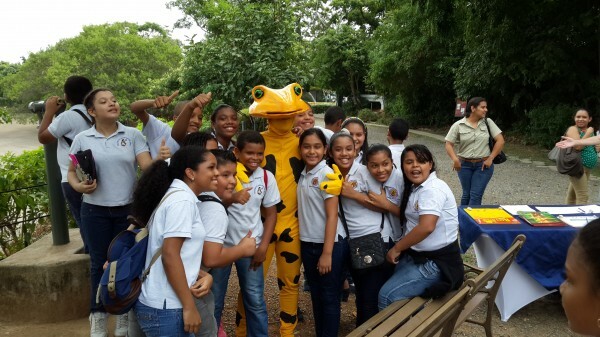 Teachers will introduce a new amphibian curriculum and Clubes de Ranas (Frog Clubs) will be launched in the schools. 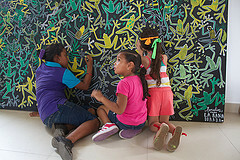 Shortly afterwards, the Punta Culebra Nature Center will feature new educational activities promoting frog conservation in 24 school groups, that’s over 600 students! Adults have no need to despair; schoolchildren will not be the only ones having fun during the festival. There are several events planned for adults and professionals, including talks with STRI scientists, a performance by the theatrical group “Tribu,” and a demonstration by a very talented indigenous artisan who specializes in frog sculpturing. Some events to look forward to include the Ciencia en la Ciudad (Science in the City) talks held by two of the proud sponsors for the festival. One talk will be held in the historic district of Casco Viejo at the American Trade Hotel and another talk will be at the Rana Dorada Restaurant. 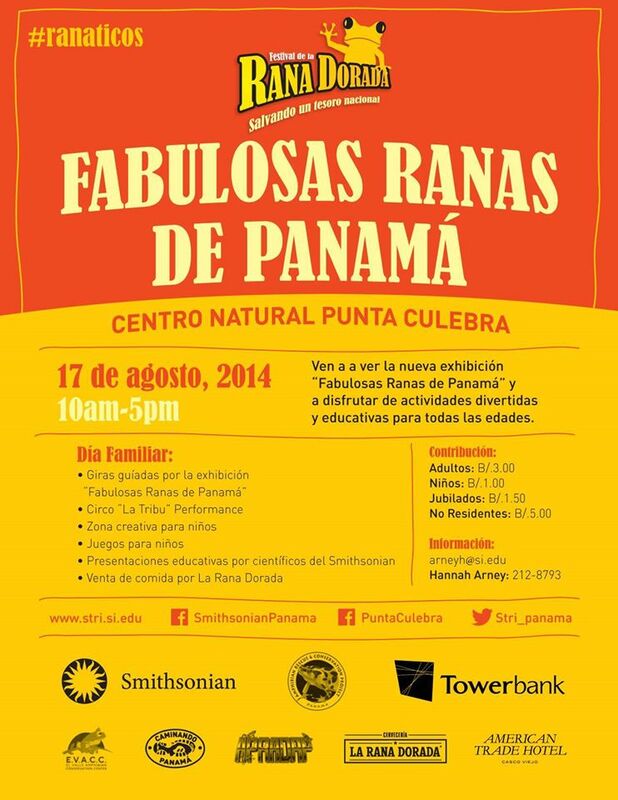 Perhaps the most exciting event will be the launch of a new amphibian exhibit and education program at the Punta Culebra Nature Center! STRI is very pleased to coincide this year’s festival with the launch of the new exhibit, “The Fabulous Frogs of Panama.” The amphibian exhibit features several species of frogs and toads found in Panama. 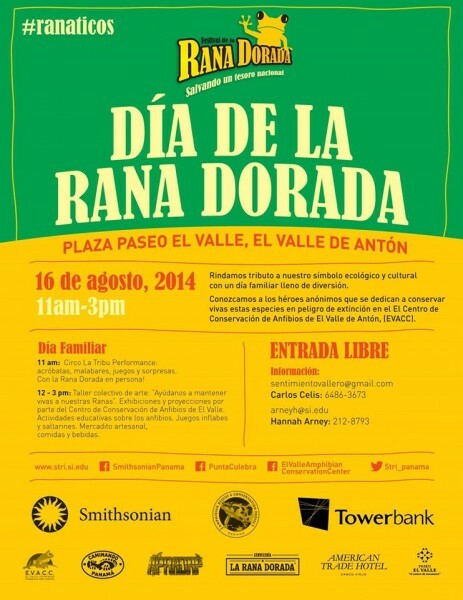 Ribbon cutting ceremonies are scheduled on August 14, 2014 the National Golden Frog holiday. Finally, for the runners out there on August 24th we have a 5K / 15 K trail run in El Valle de Anton. Festival coordinators expect the festival to attract over 8000 participants this year. So make sure you are there to experience the events for Panama’s national cultural and biological treasure! 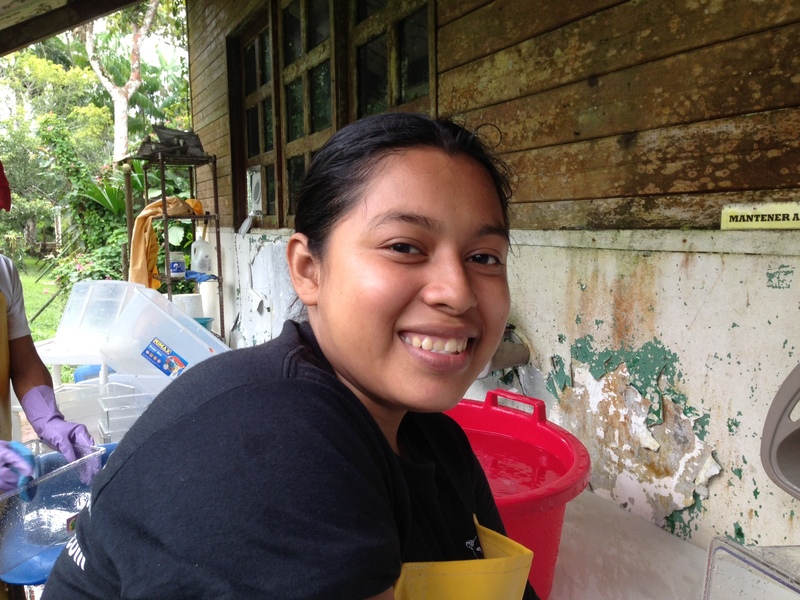 Watch this video to learn a bit more about the Panamanian golden Frog as a STRI archaeologist and students discuss the cultural importance of the frog – which is actually a toad! 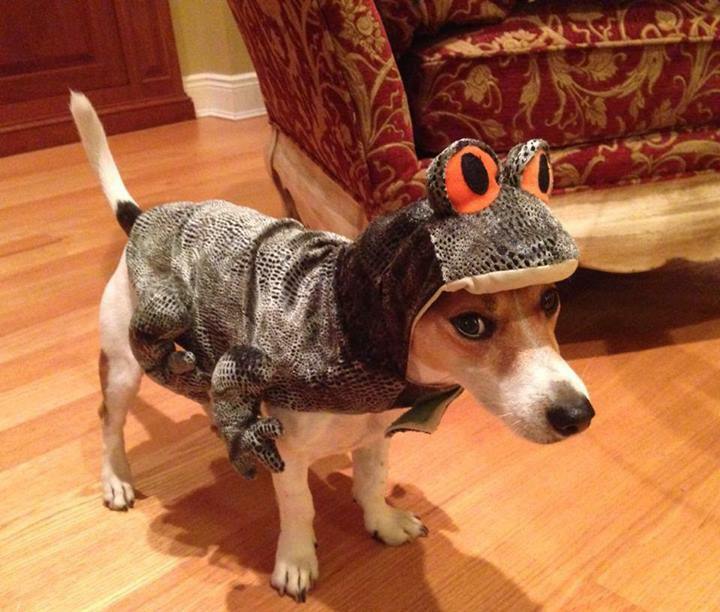 If you want to see the agile frog live up to its name, just try catch one! This wily creature can jump for distance (2m) and height (1m). Found throughout most of Europe, this species can be abundant in forest glades in deciduous forests where it is found. It is listed as least concern by IUCN, but evidently it’s acrobatic skills are no match for cars and it has been declining at some sites due to road-kill, conversion of forest habitats to agriculture and eutrophication. The Durrell Wildlife Conservation Trust has been running a conservation project on this species which declined precipitously on the Island of Jersey in the 1980’s. Photo courtesy Nicola Destefano, submitted via the cute frog of the week Flickr group.